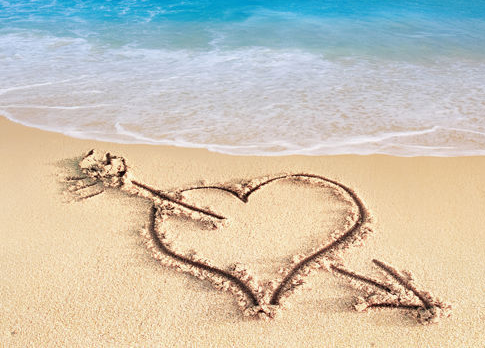 Valentine’s Day is approaching, and what better way to share a special time with your loved one than by the beach? The Beach Resort is an ideal choice this coming Valentine’s Day, offering couples Kingscliff luxury accommodation situated on the beautiful Cabarita Beach. The Tweed Coast is the perfect destination to find romance and relaxation, where the many picturesque beaches surrounded in quiet hinterland will provide a special Valentine’s Day you or your partner won’t forget. The Tweed Coast is well-known for its relaxing choice of beaches. As well as the beautiful Cabarita Beach where The Beach Resort is located, you will also find many more beaches to enjoy in the nearby area. Visit Norries Cove, Maggies Beach, and Cudgen Beach within just a short journey from our resort, as well as Bogangar Beach, Casuarina Beach, and Kingscliff Beach – each offering its own atmosphere and scenic views. Another perfect location you can take your partner this Valentine’s Day is Cudgen Lake, found within walking distance from Bogangar Beach. This picturesque lake is perfect for canoeing, kayaking, swimming, and picnicking, where you will be surrounded in stunning mountain views and peaceful tropical rainforest. For the adventurous couple on Valentine’s Day, take an exciting day trip to the Cook Island Marine Reserve. This stunning diving spot can be reached within a short boat ride, and offers an unforgettable experience swimming alongside turtles as well as hundreds of fish amongst beautiful coral reef. For couples that are happy just to hike and absorb the Tweed Coast’s fantastic views, the Stotts Island Nature Reserve is an ideal alternative, offering lots of scenic spots, breathtaking views, and plenty of wildlife to look out for. As you savour the picturesque Tweed Coast over Valentine’s Day you will also enjoy a luxurious stay here at The Beach Resort. Our Cabarita Beach accommodation is comprised of stylish holiday apartments that are spacious and fully-furnished with all the necessary comforts. Each apartment features a spacious living and dining area with a modern kitchen and bathroom, as well as relaxing views from the private balcony. Our onsite facilities include three outdoors swimming pools that are heated and unheated, spa, fitness room, barbecue area, and our onsite restaurant The Beach Bar and Grill.